Dirt Connections provides affordable Hagerstown, MD fill dirt delivery to those in need of fill dirt for their next construction project. Our free fill dirt stock is always abundant to where the demands of your project, big or small, will be met. Dirt Connections will handle the delivery aspect of the project so that you can focus your efforts into completing tougher project areas instead of consistently worrying about running out of fill dirt before your project ends. 7 Schedule a Hagerstown, MD Fill Dirt Delivery Today! If you have chosen to take on a large construction project, such as a landscaping or remodeling development, you will most likely need a large amount of fill dirt before you begin. Oftentimes fill dirt is used to create a solid foundation due to its ability to create a stable surface that you can build your foundation upon. Fill dirt is sure to provide a sturdy and reliable surface for your foundation, preventing it from shifting or cracking. It can also be used to even out land in other places, such as for sidewalks. Dirt Connections’ supply of free fill dirt is always accessible to you, regardless of how big or small your project will be. Depending on distance, availability of trucks, and any other specific project demands, we may require a delivery fee due to limited materials. Dirt Connections possesses the knowledge and expertise to help guide you through your project as much as possible. We always make sure we have enough free fill dirt to satisfy the needs of your project. Likewise, we will be more than happy to help with any other project needs, so long as we are not busy during the time of your project. We do require a scheduled site inspection before we can proceed with any Hagerstown, MD fill dirt delivery with 10 truckloads or more. The inspection is provided by us for free, but we do ask for an owner or agent to be present during the inspection. 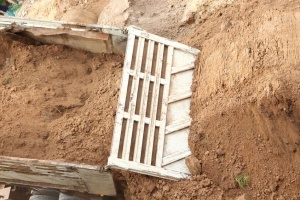 If any excavation is required during your Hagerstown construction project, you will most likely have unused and unwanted fill dirt lying around after the project is complete. 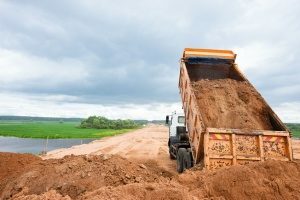 If you find yourself with a pile of excess fill dirt, Dirt Connections will promptly and professional remove it from your site – including hauling and dumping efforts. Fill dirt can be extremely reliable since it is one of the best products to safely and efficiently build your foundation upon. Therefore, you can stay well under budget while swiftly completing the construction process. We take pride in saving our customers time and money by handling the project logistics for them. 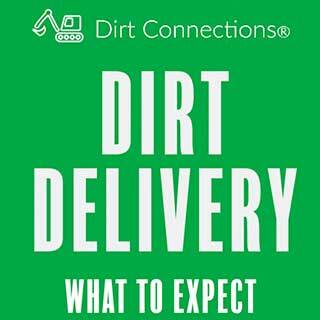 Here at Dirt Connections, we consider our familiarity with Hagerstown to be an advantage when it comes to efficient and affordable fill dirt delivery to customers in and near the area. Unwanted piles of fill dirt that remain untouched after a construction project can become a hassle over time when not dealt with. Dirt Connections will happily handle every aspect of dirt removal, should you require it. This way, you can have a better sense of closure after the project is done, not having to worry about staring at unused fill dirt. Fill dirt will most likely help provide a surface for your project’s foundation; thus, it is important that you know how much you will need before beginning. This will help you avoid delays that may occur during the project, such as a lack of accessible fill dirt. You should start any project with a rough fill dirt estimate. The required amount of fill dirt for most rectangular projects can be obtained by measuring the length, width, and height in inches. Multiply the length and width of the project, as well as the result by the height of the space. By multiplying the three dimensions together, you get the amount of fill dirt in cubic inches. You can always convert this number to cubic yards as well. The fill dirt estimate for a circular project can be found by measuring the diameter and the depth of the project space. Cut the diameter in half to obtain the radius, then multiply pi (3.142) by the radius squared; then, multiply this by the depth to get the volume. Schedule a Hagerstown, MD Fill Dirt Delivery Today! Dirt Connections has both the knowledge and the experience required to professionally deliver fill dirt to clients in the area. Call or contact us as soon as possible to discuss your Hagerstown, MD fill dirt delivery.